Showers are used for maybe a few minutes a day, so why should they displace space the rest of the time? 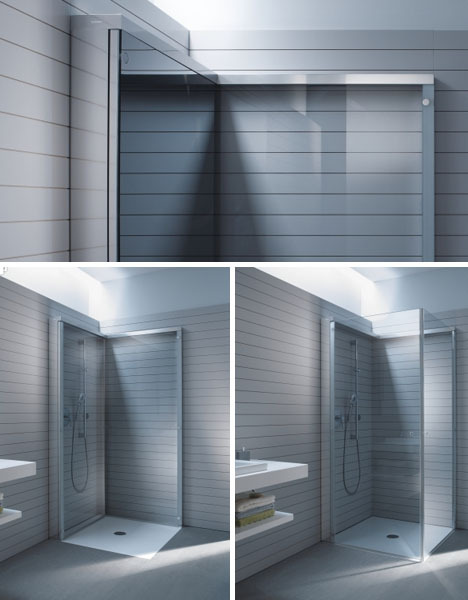 This ingeniously simple solution proposes that a shower should not have to take up excess room when not in use. 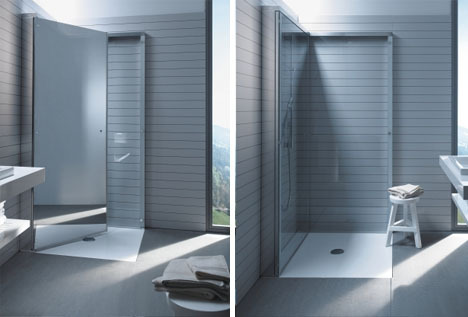 Duravit titled this piece OpenSpace and, indeed, it opens up space as it folds almost completely flat against the all of a bathroom, saving occupants precious area that can be used when standing before the sink or sitting on the toilet. As an added bonus, the shower drain is thus also opened up to the rest of the room, making mopping an easy task when cleaning time rolls around. There is no profound mechanism here, just a clever deployment of standard hinge, door and wall systems that locks away your soaps and showerhead behind compact glass when not actively needed. “A frame in brilliant chrome provides the contours on the wall. Two large self-locking glass doors are fi tted in the frame, in a translucent design or with a mirror on one side. After showering, these doors can simply be „folded“ against the wall. This avoids a rail protruding into the room, the tap fi ttings and shower hose are concealed and the bathroom appears much larger, particularly with mirrored glass. 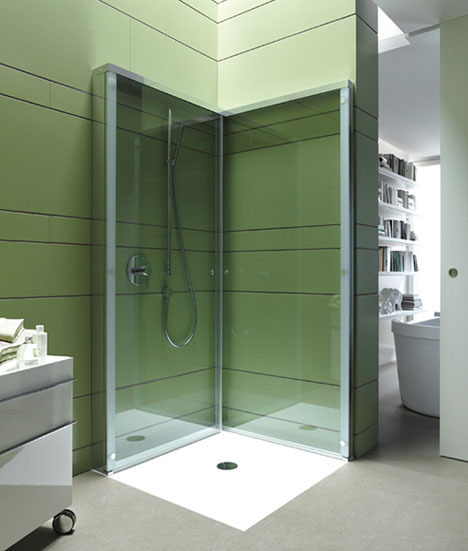 OpenSpace is ideal for combining with the DuraPlan shower trays."